Silica-charged rubber compounds were developed for the Michelin Pilot Road 4 Motorcycle Tires. These compounds are specially formulated to provide excellent grip on a wide range of road surfaces. A stiffer casing with a patented new technology that delivers the stability you need for heavier bikes while riding solo, two-up or with luggage. Now with the new XST+ sipes, Michelin Pilot Road 4 tires stop faster in wet conditions. The Michelin Pilot Road 4 lasts up to 20% longer than the Pilot Road 3 tires. The Michelin Pilot Road 4 GT has a stiffer casing with a patented new technology for motorcycle tires that delivers the stability you need for heavier GT-class bikes while riding solo, two-up or with luggage, and the comfort you desire. Thanks to new XST+ sipes, Michelin Pilot Road 4 tires stop faster in the wet than any other tires in the category. The Michelin Pilot Road 4 tire stops 17% faster than its closest competitor on wet roads, and 24% faster on a wet slippery surface such as a pedestrian crossing or painted lines. All of which means, riding in the rain should feel safer and more secure, and a lot less stressful. With Michelin Pilot Road 4 tires on your motorcycle, you'll ride with more confidence - rain or shine, hot or cold, city or highway. All statistics were conducted by independent 3rd party testing. With improved 2CT technology, the Michelin Pilot Road 4 tires last up to 20% longer than the Michelin Pilot Road 3 tires. Silica-charged rubber compounds were developed for the Michelin Pilot Road 4 tires. These compounds are specially formulated to provide excellent grip on a wide range of road surfaces, including painted lines and pedestrian crossings, making it easier for you to ride with confidence in virtually all conditions. Staff is very friendly and polite! I am very pleased with the service I received when the order failed to arrive. I made two calls and the item was sent and I received it. It's a PR4...what else do you need to know? Excellent product for my 2008 C14. This is the only tire that I'll put on that bike...ever! With so many competent sport touring tire offerings out there it is becoming increasingly difficult to justify the premium price of the Michelins. We've been running PR2's, PR3's, PR4's and PR4 GT's on pair of BMW R 1200 RTs. We did not notice any appreciable difference between the PR4's and PR4 GT's. The wet handling and grip has indeed improved over the years of evolution, but claimed improvements in tire longevity have not materialized for us. We still get 6000 - 8000 miles from a set of tires. Michelin have refined the dual compound technology, and the rear tires flatten gently as they wear, without any extreme transitions. Wear bars are located just a little off center and are adequate. The tires provide a comfortable ride throughout their life. I would run them forever, except for the price, a touch of curiosity for what the others are doing, and the fact that they are already superseded by the Road 5. This is my third tire, great mileage, best wet traction I have ever had from a bike tire. Road Pilot GT- Top Gun! this tire is the only tire recomended by my riding group.it has great traction on accelleration and cornering. I put this rear tire on my 2014 Honda Valkyrie, and it is so much better than the OEM one. With the OEM one I would slide fairly easily in the rain, and the tire would lock up with just touching the back break in the rain. This tire provides a lot more traction and grab, and so far it's doing good for mileage. Very confidence-inspiring in the wet, predictable handling characteristics on turn in they seem to wear decently, too. A great all round road tire. Got caught on a trip with a new bike with worn out tires at 3,000 miles. Went to a dealer in Texas and had a set of PR$ GTs put on, the dealer insisted the 55s were the way to go on the Concours 14. I have to admit, I got probably 7K plus out of them riding pretty aggressively but they werent confidence inspiring. The tires always slipped around on the curves and always felt greasy, for lack of a better term. After that, I tried 4 other brands of tires, all of them lived from 4K to 6,500 miles. Am on my third PR4 GT and love the wear and traction, especially in the wet. Last tire lasted almost 9,000 miles on a trip through Canada to Alaska and back. No tire changes aided in having no delays for the whole trip. I've put on almost 3,000 miles on the rear and noticed it's time to start looking for a new one. I hear great things about the pilot road 4 but i'm not impressed with the wear. The tire handles well except for paint which is expected. I am also running the non GTs on another bike without any issues. This is my 2nd set and definitely not my last. My 1st set I put on 2 years and 7900 miles ago. Tried other manufacturers multi-compound high mileage tires, but Now forever a Michelin man. LITERALLY THE BEST TOURING TIRES EVER! EVER! I GET ABOUT 11K OUT OF THEM AND THEY JUST OUT PERFORM ANY TIRES IVE EVER HAD ON ANY OF MY BIKES. IM NOW A LIFETIME BUYER OF PR4GT TIRES! I've used many brands of tires on my sport touring bike, but the Pilot Road 4 GT tires outlast all others that I have tried. Also, they have fantastic grip on wet roads. '08 Concours calls for this tire. Seems to be an excellent all around tire. I haven't had them mounted long enough to assess their rate of wear, but I would expect will last about 5,000-7,500 miles. If you are looking for a longer wearing tire, this is probably not the tire for you since this appear so to be a softer compound. Of course, a harder tire will not Grip as well as these. Pick the type of riding you're doing and buy accordingly. This tire performs well on my BMW GSA for road use. Rode it to NY from CA this summer. Handled all roads with confidence and had the best wet weather traction I have experienced in several heavy storms along the way. After 8000 miles the tire still had about 2000 miles of wear left. Expensive tire but I am worth it. This is my third Michelin pr4gt and I love the traction on wet roads and the quietness while on the slab. I have constantly achieved great mileage from this tire on my 2014 FJR, I have tried other brands on my bikes but I always come back to the Michelin. very good tire, confident in leaning into turns with my heavy sport tourer. I have run some Bridgestones, and the PR2's on my motorcycle and liked both. But these PR4's are the cats meow! I run them about 42 psi each and have gotten lots more miles out of these than the PR2's or Bridgestones. I have rode these on a Coast to Coast and more! They have been through HEAVY down pours in North Carolina, mountain passes in Colorado, cold weather in northern Utah, to the deserts of southern Utah, these tires have never let me down! Love the traction in all weather conditions, and love the miles I get out of them. Gives me confidence in the twisties, and miles on slab when I have to. I usually ride solo, with all my gear. Does not quite weigh as much as a second rider, but close. I run the GT's for better mileage. I am not super aggressive in my riding, but occasionally scrape the pegs. So much good was said about these tires that I felt I needed to try them out. After coming off of some excellent sporty touring tires, I was immediately disappointed with the slow and lumbering handling. I was able to get it to handle a little better with tire pressure adjustments, but the bike just did not feel as nimble as I already knew she could be. The front tire cupped severely within 2500 miles and the edges wore very quickly causing a ridge between compounds that gave the tire the tendency to want to fall into corners causing me to have to use a lot of pressure to keep the bike tracking well. I rode these out to about 5k miles, but the last couple of thousand were a chore and not fun at all. Not impressed (the PR2s were far better and I was not that fond of them either). These make work well for those that like to tour more than sport tour, but I will not be trying another set. Been a fan of the Pilot Roads since my Kawasaki utilizing the B model of 2, made for heavier bikes. I managed 12,500 miles to the cords on the rear in a single season of riding, that included a round trip to Alaska. When I went to the 2013 Yamaha, I sprung for the Trail 3, bought right here from Rocky Mountain ATV. They lasted about 7400 miles lugging me and my junk, about 950 lbs. Then next year I tried the Trail 4's, managing 9300 miles. This year I bought a 2014, a set of Trail 4 GT's and racked up 12,000 miles with an additional 50 lbs. to lug around for 8300 of those miles. There's been twisty mountain passes, superslab, US highways, and Skyline Drive/Blue Ridge Parkway/Dragons Tail this season. The back has perhaps 200 left and the front 500 to the wear bars. The best tires on the market! I have had all brands of tires on many different bikes over the years they've gotten better and better. However the Michelin Pilot roads stand out among the others as being the absolute best tires available. They have excellent wet weather and dry weather traction the handling is extraordinary and finally they last longer than anything else. What could be better? This is the GT and I have had the non-GT rear with great results. If you ride freeway and a little bit of canyons, this is you tire combination. Mileage is over 10k - unheard of. Well had to change my rear tire sooner than expected, had a 2" crate nail in it, good news is it got me home. These tires are great, can't blame them for a nail, they have an 800 + lbs load rating and a 168 mph speed rating they are perfect for sport touring. The tire I just replaced, bought here a yr ago and some change, had over 10k on it, still had almost 1/4" of tread in the center of the tire, that's awesome. I should add they are great in the rain in my opinion. Been riding 40+ years and these ARE THE BEST TIRES I'VE EVER OWNED. Along with that the best prices are right here at Jake Wilson, they are over $200.00 just about everywhere including: Cycle Gear, Revzilla, and Competition Accessories. Thanks Jake Wilson. p.s. ordered after midnite on Friday and arrived the following Tuesday morning with free shipping!!!!!!!!!!!!!!!!!!!!! Put the "sport" into "sport touring"
I replaced the OEM Bridgestone Battlax T30s on my GSX1250FA with a set of these Pilots. I found the difference obvious from the first corner I took when I picked up the bike from the shop. The heavy-ish steering feel that I had at city speeds was greatly diminished, and at highway speeds, the bike goes through corners with a lot less effort than with the Bridgestones. I can't talk about durability, but on the basis of the improved performance alone, these tires are worth it and I'll happily continue to use them. Rocky Mountain was one of the very few that had both the front and rear of this new tire in stock. Ordered on Wednesday and had it Friday morning. Rode today and love these tires. HUGE improvement over the stock tires. Only have about 150 miles on them so cant say anything about how long they will last, but 100% better handling and ride over the old tires. Highly recommend this tire! difference between pilot road 4 and pilot road 4 GT? BEST ANSWER: The difference is the load rating, we run the GTs on our FJR1300s because we run them loaded quite a bit. My wife did run the PR4 on her '13 and didn't have a problem, but we've since decided the heavier sidewalls is a good deal for us. Our primary reasons for running PR4/PR4GTs is tire longevity (we get 10 to 13k per set), and WET surface traction because we live on Oregon's South Coast. Great tires! The load ratings in my size tire, are identical between the PR4 and PR4 GT, however, the GT is supposed to be optimized for heavier sport touring bikes. I can't tell the difference in real world use, having run PR4's followed by PR4 GTs. Possibly with two similar bikes available for side by side testing you might notice something. The GTs didn't last any longer for me either. Yes, there is a difference between the GT and regular pilot road 4. 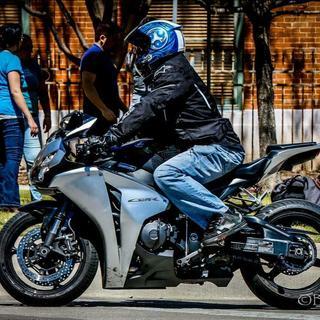 The main thing to consider is whether youre putting it on a sport bike or touring. The GT is made for heavier bikes, and has a dual angle technology (laid as bias and radial patterns). 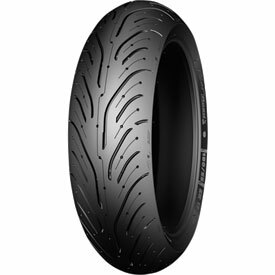 I own a 2014 BMW R1200RT and the Michelin tire recommended for it is the 4 GT so that is what I have purchased. I believe it has a more aggressive ability to handle cornering but I am not sure and have not compared the 4 GT and the 4 side by side. I went with what BMW recommended for the RT. I believe the GT tire has stiffer sidewalls and is made more for heavier bikes with luggage and a passenger. The GT was choosen by BMW as its official tire of choice for the R1200RT. If you mainly ride solo with light luggage the standard Road Pilot should work fine in most cases. The 4 gt has a stiffer side wall intended for heavier touring bikes. I have used both the 4 and 4gt on my Bmw K1200gt with great success. Love this tire! The best ride and handling of any tire I have tried. The only issue is they are extremely expensive. The GT is designed specifically for the heavier sport touring motorcycles, especially if you ride two-up. I ride a BMW R1200RT that specifically calls for the GT on the rear only. I do not run the GT on the front.. I have in the past and found it too stiff. GT is for heavier sport-touring bikes- stiffer, thicker sidewalls, slightly deeper tread. I run them on my FJR. Great tire! Ran the non-GT one time, not quite as much life, otherwise ok. I ride solo. The GT is for heavier bikes, like an FJR1300 or ST1300. The side walls are heavier for those bikes. As far as I know the GT has a stiffer sidewall. This allows it to carry a heavier load. The GT has a heavuer more stout case to handle heavier GT class bike. Both are supperb.